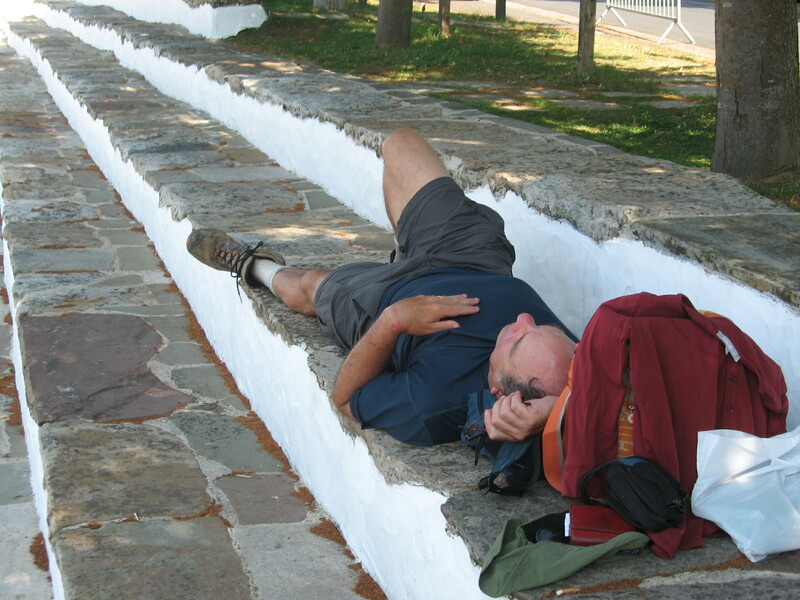 Saturday, July 10 – Layover Day in Sare, Day Hike | Say Mar Say! - C'est Marseille! 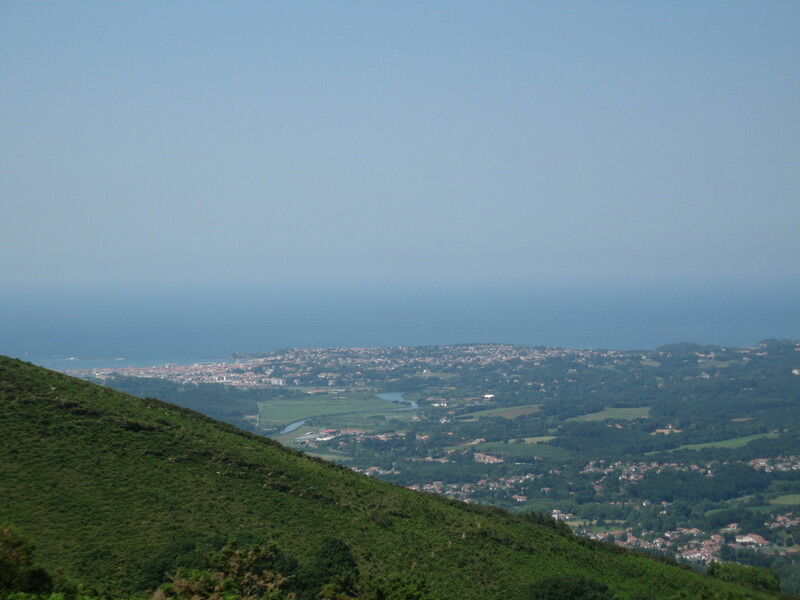 « Sunday, July 11 – Transit Day: Bus from Sare to St. Jean de Luz – Walked 3 kms. 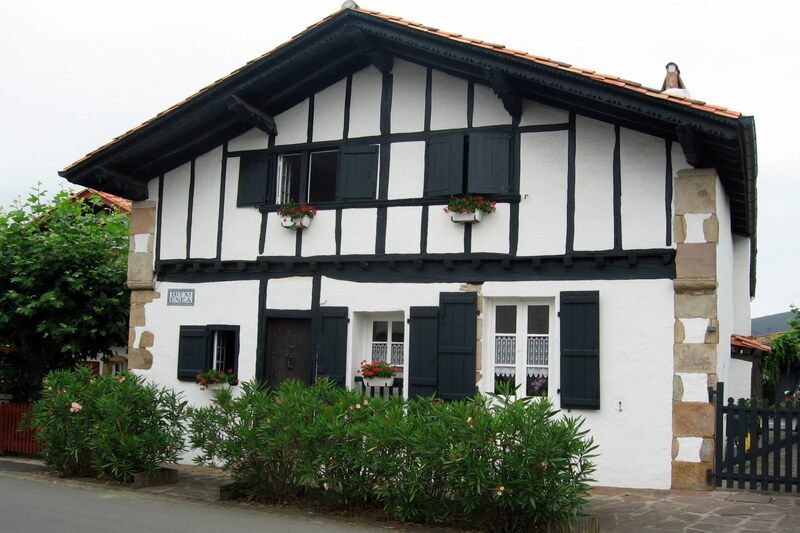 In Sare, checked out of hotel and into Hotel Baratrxartea in old quartier about 2 km from town. 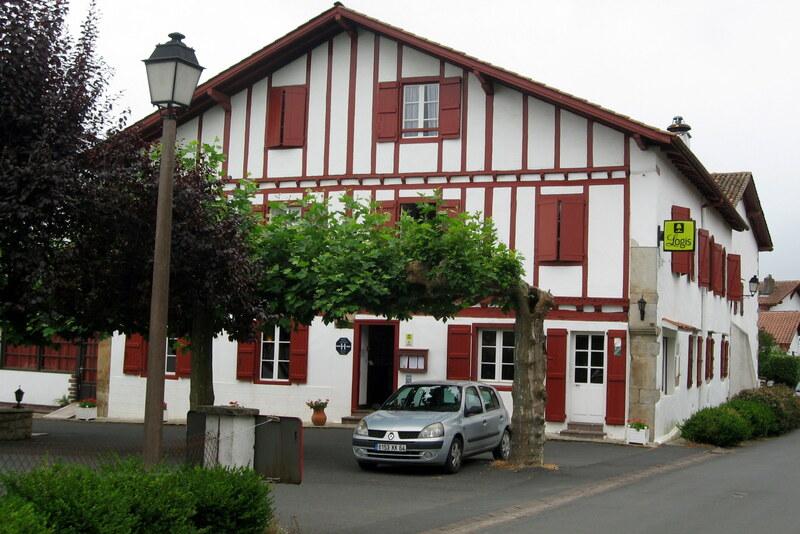 This is the type of hotel that lower middle class French couples and families go to for a week. No conversations as people seemed uninterested in us and uninteresting in general. 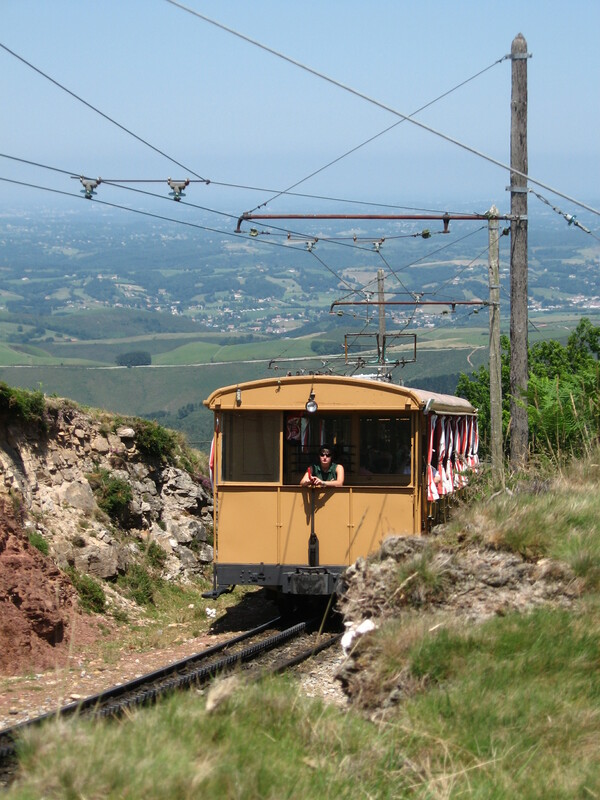 Went for a neat hike to top of the col des Trois-Fontaines where we watched the tourist train that takes people up to la Rhune. Views of Atlantic from the top. Then walked down back to Sare with excellent views. Still on the hot side, temp wise. At the Hotel Baratrxartea, demi-pension is almost required: we were almost forced at dinner to order their plat du soir (evening plate). Correct old timey place that the average American visitor might enjoying experiencing. 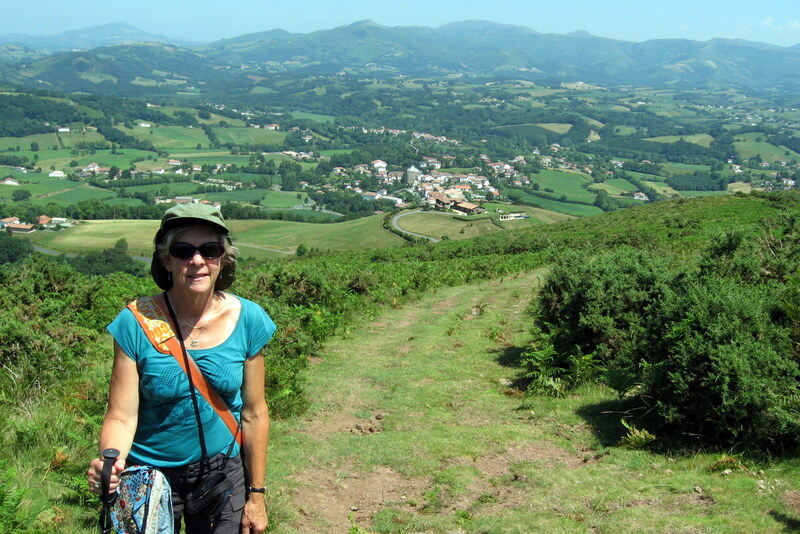 This entry was posted on February 7, 2013 at 9:53 am and is filed under Hiking In France. You can follow any responses to this entry through the RSS 2.0 feed. You can leave a response, or trackback from your own site.